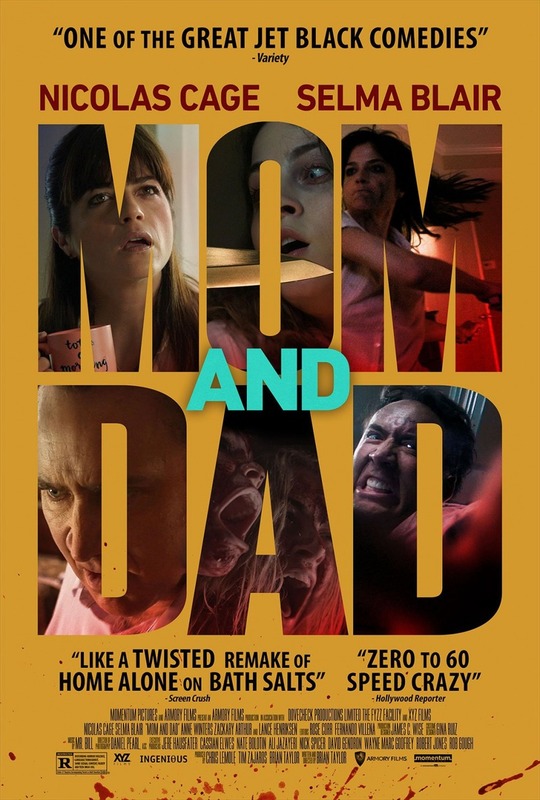 Mom and Dad DVD and Blu-ray release date was set for February 20, 2018 and available on Digital HD from Amazon Video and iTunes on January 19, 2018. A mysterious virus turns family relationships deadly. The virus, which is transmitted through electronics, forces parents to become murderous psychopaths if they get too close to their children. Carly, a teenage girl, must defend her younger brother Josh and protect herself when their parents succumb to the virus. Although they had sometimes fought with each other, the virus takes it to a horrific new level. The following 24 hours escalates their fear as they realize they aren't the only children suffering.